We first did A Doll's House in May 2015, not a long time ago. It was the second production from our then new theatre company (the first one was Bhopal) and was hugely well received by our audience. Since then, a lot many more people have come to our shows and told us that they love our brand of theatre. When we were looking to add a third production to our 2016 season, we quickly converged on doing a Revival of A Doll's House. But the Revival would be different. We wanted to do a smaller, Black & White production at Lohman Theatre, which is much closer to a Black Box theatre than to the Proscenium theatre at Sunnvyale, where we first staged A Doll's House. 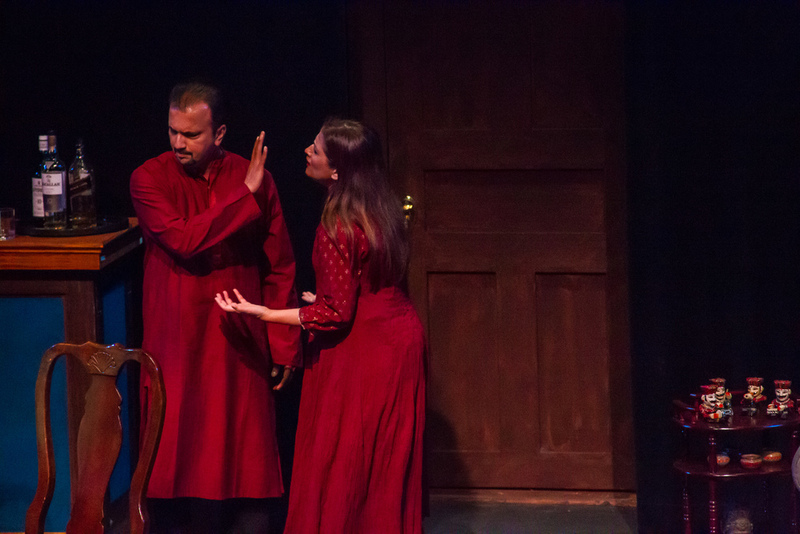 We decided we would make the play a lot tighter by reducing or eliminating some costume changes, particularly Naina's (Naina is the protagonist – Ibsen's Nora). The script underwent many changes based on things that we learnt during the previous run. And I wanted some shifts in the way we were playing the characters. All in all, a good bit of work. It wasn't going to be just a regurgitation of last year's show. Then there was the cast. We retained most of the cast from the last year, which was nice. But Ram Asur, who had earlier played Kevin was not available for this run due to work related travel. Which meant that we would have a new cast member who was starting from scratch. This could have slowed us down a lot, but luckily, Parag Kilche, who made his Bay Area debut with this play has the most amazing work ethic. He had his lines down before any of the other actors. That allowed me to work with him early on and get him to a level where the rest of the cast was. Directing a play that you have written is a very different experience from directing someone else's play. I was constantly chopping and changing the script throughout rehearsals. Which can be a little frustrating for an actor who already has his lines. Towards the end, my actors were ready to do me bodily harm! But in all fairness, I often made edits in response to feedback from an actor. The script can always get better. Creatively, there was enough juice in doing this Revival. We struck the right balance between not changing the entire play, but changing it enough that it was challenging and fulfilling. And of course, it is always fun to work with a bunch of talented people who genuinely like each other.